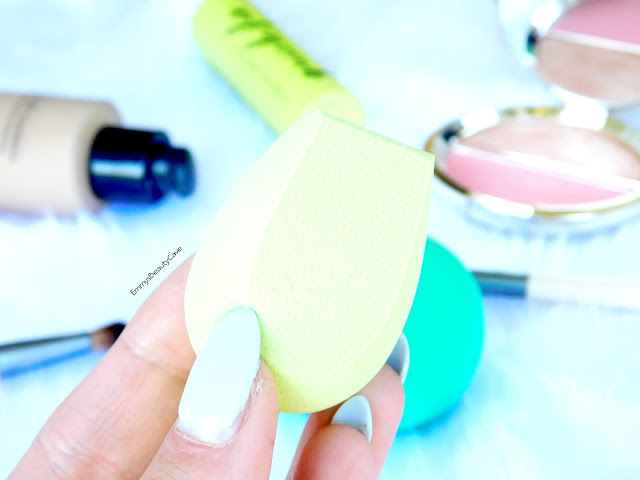 When I saw EcoTools release the Ecofoam Makeup Sponge Duo I was extremely intrigued as they were shaped different to any others I have tried. When I asked people on Twitter what they thought of these sponges I got mixed reviews which made me more intrigued to try them. EcoTools were kind enough to send me the sponges to try out. You get two sponges in the pack for £9.99 which is a bargain. At first the sponges felt soft but a little firm but once I had soaked them in water they completely changed. The Large Base Blender (pictured above) tripled in size and became bigger than what the Beauty Blender does when wet. The sponge felt extremely soft but kept its shape perfectly. Both sponges have a flat side and then a smaller flat edge on the other side. The bottoms are round and you can use all three sides. 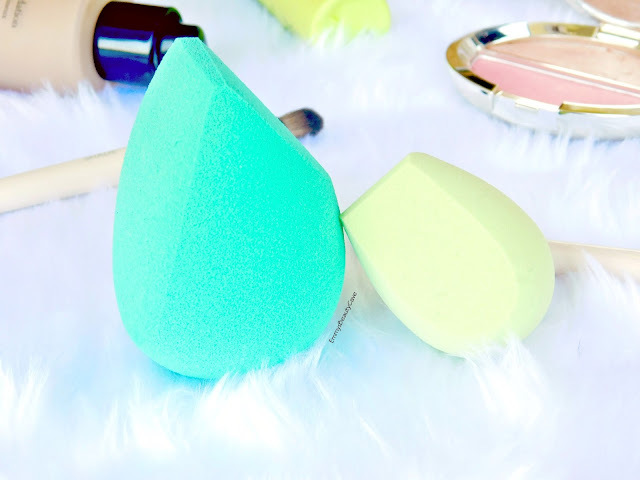 I have fallen in love especially with the Large Base Blender Sponge, the large flat side blends foundation flawlessly and with how big it is, it makes it easy and quick to blend everything. The flat edge at the top makes it easy to get under your eyes and down the sides of your nose. The main reason I love this sponge is that it doesn't soak up product. 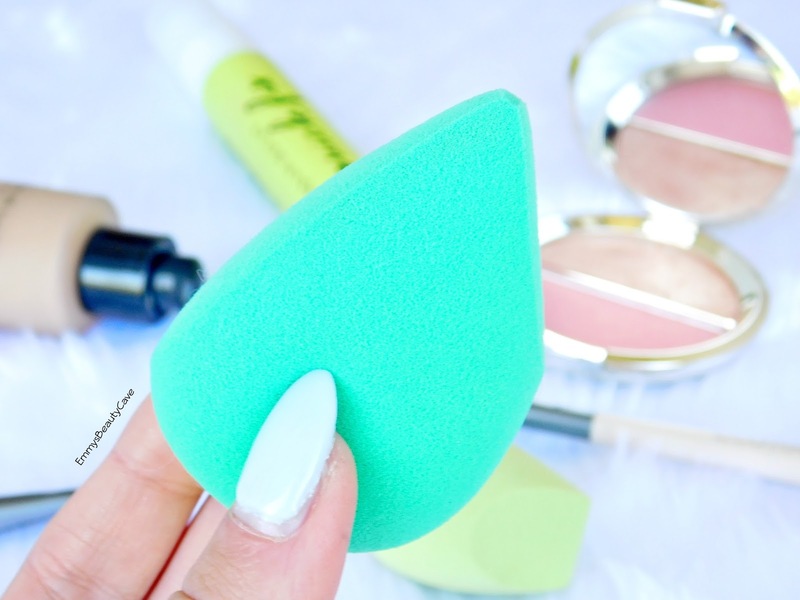 I find with the Beauty Blender yes it creates a lovely base but it soaks up alot of product and provides less coverage and you have to build it up. With the EcoTools one it doesn't soak up product and you get the coverage straight away. The smaller Mini Blender Sponge works just as good as the larger one. It is slightly firmer but still has a little bounce to it. It is the perfect size for under your eyes to blend out concealer or to bake with. I find this mini sponge is the perfect baking sponge there is. The flat edge makes it easy to do nose contour as you can get the sharp line. Overall both of the sponges have impressed me and I am a fan. When I saw how well they worked I was worried when it comes to washing them. I personally wash my sponges every time I use them. That is why I always have backup sponges and rotate them. I used my hair shampoo to wash these sponges and massaged it into them with luke warm water. They literally looked brand new. They didn't loose shape and didn't break. I am so excited there is a cheaper option out there that I personally love more than my Beauty Blender. I am going to go and buy a backup pack asap. 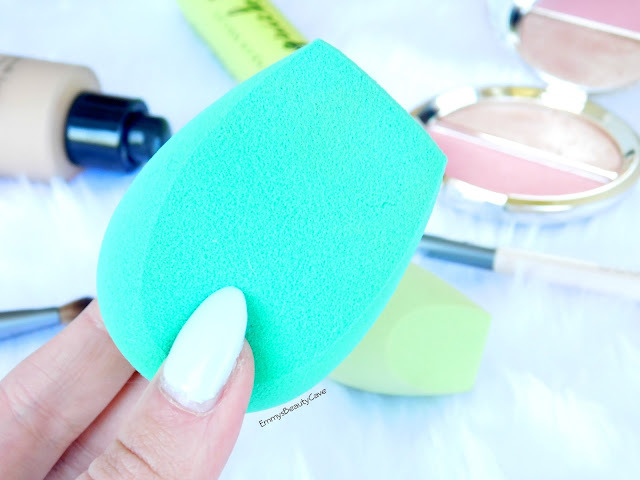 You can buy the EcoTools Ecofoam Makeup Sponge Duo Set from Superdrug for £9.99.